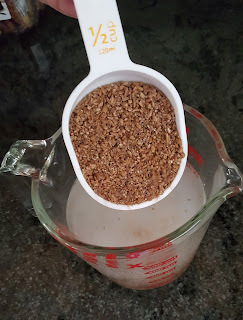 At least 3 hours before serving the soup, soak the bulgur in 350 ml (or 1½ cups) of hot water and let it stand for at least 1 hour. About 1½ hours before serving the soup, prep the vegetables by first dicing the onion. Finely dice, crush, or grind the garlic cloves. Cut the celery into fine slivers. Wash and finely chop the oregano, rosemary, and parsley. 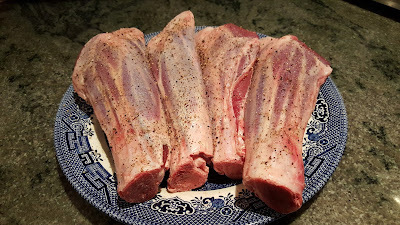 Wash, trim if necessary, and pat dry the lamb shanks. 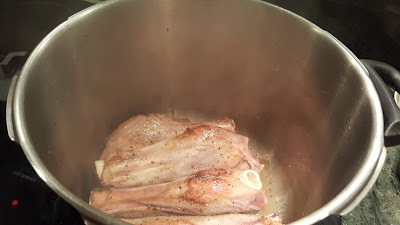 Lightly season the lamb shanks with salt and pepper. Heat the pan of a pressure cooker over medium-high heat and pour in enough olive oil to coat the bottom. Place the seasoned lamb shanks into the pan and brown them on all sides. 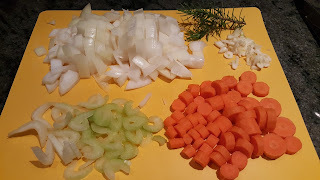 Reduce the heat to medium and add the onions, garlic, carrots, celery, and cinnamon powder. Stir until the onions are starting to wilt. 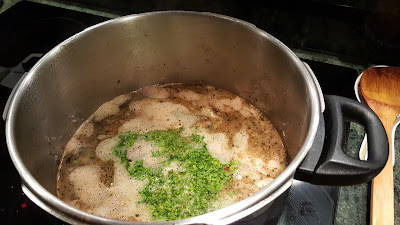 Immediately add the beef broth, tomato paste, oregano, rosemary, and parsley, and 10 cups of water. 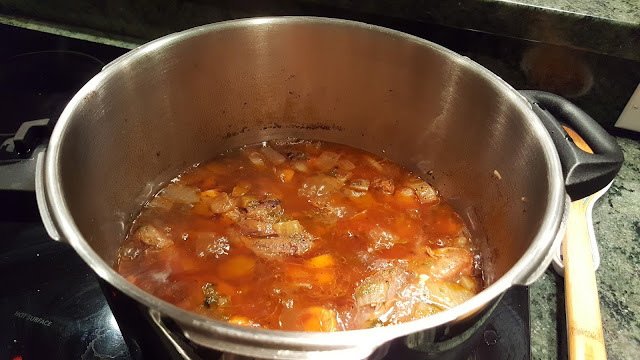 Place the lid on the pressure cooker and, following the manufacturer's instructions, cook the lamb shanks and vegetables at high pressure (100 kPa, or 15 psi) for 40 minutes. 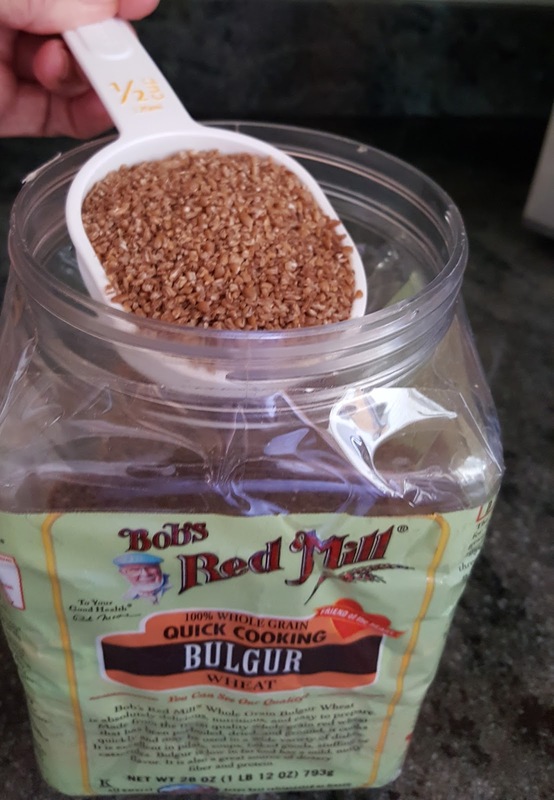 Remove the lid, and add the bulgur to the soup. 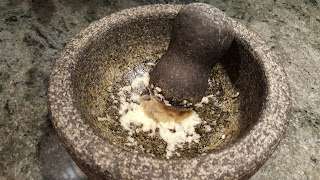 Simmer the soup for 10 minutes without the lid on to cook the bulgur. 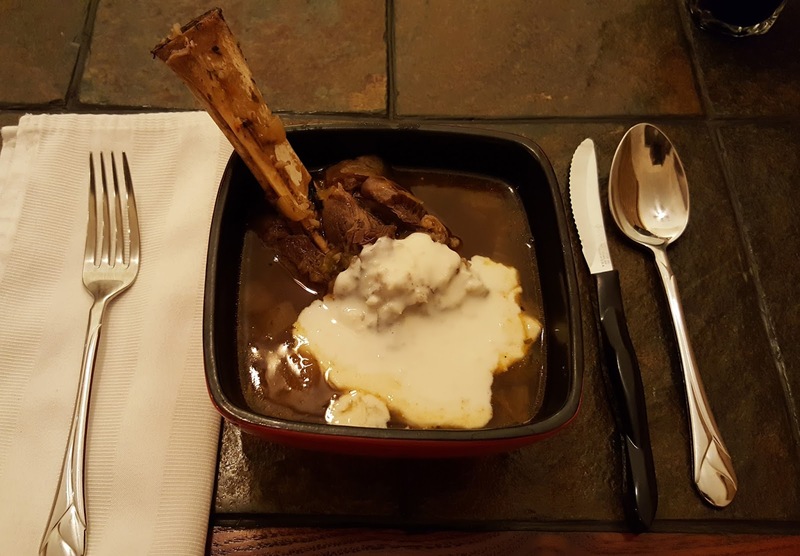 Somehow I lost my favorite recipe for Morrocan lamb shanks when I went through my binder a few years ago and tossed a lot of pages because of diabetes or because of the move to Kaua'i, where few specialty ingredients are available in local stores. Then we started seeing lamb shanks in the supermarket and I had to go looking for recipes on the internet. I picked the one that reminded me most of the previous recipe, but changed it quite radically based on memory and constant tasting. It has come out similar to, but not quite as satisfying as what I used to make some 10 years ago. I will be working on it some more when I make this soup again. 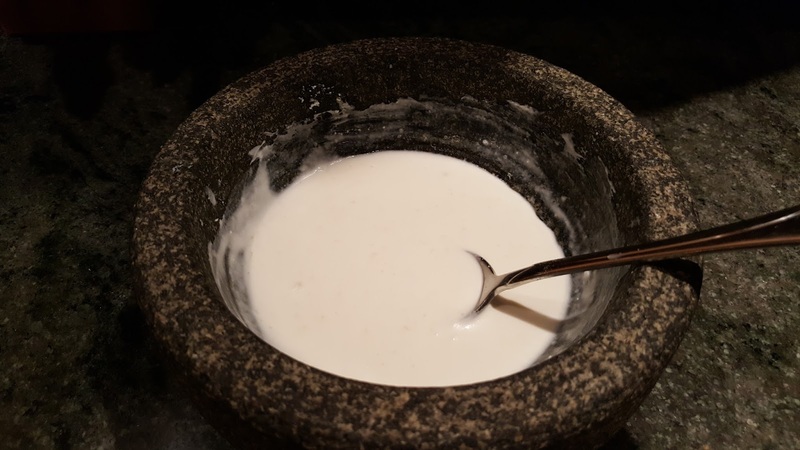 One thing that my previous recipe specified was a garlic-yogurt sauce as a garnish for each bowl of soup. 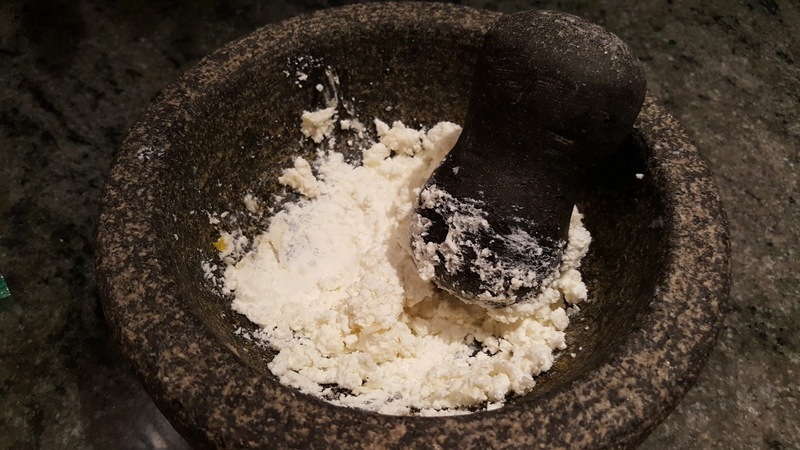 Because I cook for someone who cannot process cow's milk, I have substituted a mixture of raw garlic (pulverized with a pinch of salt), chèvre (a creamy goat cheese), and goat milk. It does the trick, but doesn't quite have the piquancy of raw garlic (pulverized with a pinch of salt) and full-cream, plain yogurt.